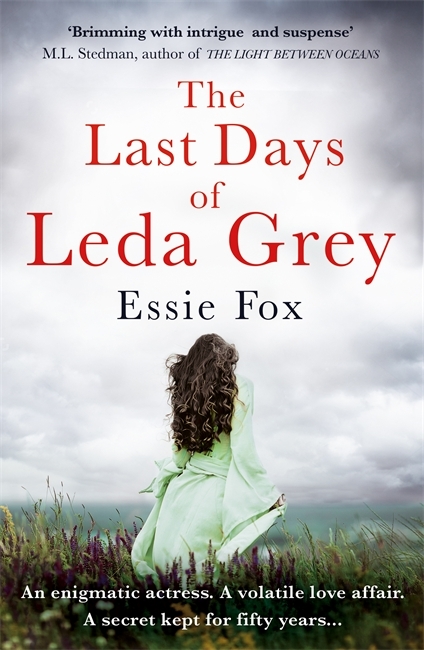 The main subject of this novel is the octogenarian Leda Grey. She is entirely fictional, but her iconic image was inspired by a photograph I came across when visiting the Brighton Lanes one day; when I saw the fading poster of a star of early silent films and was immediately entranced by her knowing and sensual glamour, by the sheer perfection of the youth that shone with such vitality through the glinting light in kohl dark eyes. 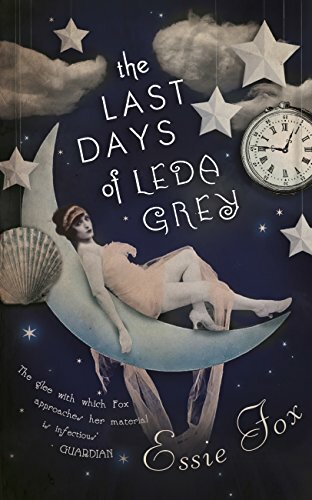 Through the eyes of a woman now long dead, Leda Grey was brought to life – becoming the Edwardian girl raised in an English seaside town, who loved nothing more than to go along and watch the silent movie shows, and who then grew up to play the muse for a charismatic film maker. When we read the memoirs Leda writes, what she calls her Mirrors, we learn of their work and love affair. But much of her story is also told through the conversations that she shares with Ed Peters, the visiting journalist, who has tracked the aging Leda down while hoping to discover why she has hidden herself from the outside world for more than half a century. Both Ed and Leda have been hurt and damaged by people they have loved. Both find some consolation in the friendship that develops now between one approaching the end of her life, and another at the start of his – but with no idea what he wants from it. Still, he feels at ease in the company of a woman who could be his grandmother, if only then to be confused when they sit in the squalid darkness of Leda’s crumbling cliff top house and he is all but mesmerised by the glamour and beauty of her youth; seeing the ‘real’ Leda conjured to vibrant life again through the dusty beams of lamp light that are flickering across a wall. Her past inspires his present, and the story that he hopes to sell. In return, as if he is the prince in the Sleeping Beauty fairy tale he wakes her from her lonely dreams. Or is it a nightmare that Ed finds? Certainly, the unnerving power of the silent films she shows to him soon threaten to unhinge his mind, already in a fragile state from the drugs he takes, and the sense of guilt and grief he feels for his mother’s death. But then, so many events from years before are oddly telescoped in Leda’s eerie twilight world. This sense of time compacting through the use of visual imagery is something that intrigues me. After all, any one of us can open up old family albums and see photographs of our grandparents as they were when in their prime. They were just like us. They were fit and strong. Each one of them had hopes and dreams. Through nothing but paper and shadow and light, they seem to come alive again. It’s a sort of immortality, and the impact is oddly heightened when the faces we see are beautiful. We only have to think of Michelangelo’s statue of David, or da Vinci’s Mona Lisa to know that art can hold the magic spell to touch our hearts and souls. But, the development of photography, and then of moving images, turned art into reality, with every single one of us able to travel back in time; seeing people and places that, otherwise, would have been forever lost. Seen through the medium of film the stars of a bygone movie age remain vivid and vital in our minds, possessing a sensual allure as they gaze through the gloom of the monochrome, their faces almost god-like when haloed in a silver glow. But our idols are all mortal. Human life is transient. Everyone of us must age and die – as mirrored in the imagery of the stock from which early films were made, when the celluloid had to be stored away from any light, or heat, or air, to avoid its chemical decay as reels congealed into a sludge, or – due to flammability – exploded into raging flames. (Many early gems were lost this way. Perhaps more than we’ll ever realise.) But then there is the paradox. Can beauty exist in darkness if it remains invisible? Does it matter what those rusting metal canisters of film contain if they are never opened, or exposed to the light of day again? This the quandary for Leda Grey whose current aged reality is compared to the glory of her youth – with every hope that she once had for a glittering future in the films revives when Ed then promises to take her films away with him – to screen them in the modern world. As such, she hopes to be reborn, to shine just like the movie stars in films that are preserved today: all the women, men, and children who inhabited our history; a history that is described in L.P. Hartley’s The Go-Between as being “another country”. Ed acts as Leda’s go-between when he enters the country of her past. But then, so did I – and so can you, when you view a silent film I found while researching for this novel. It even went on to inspire a scene when Leda Grey is still a girl, full of such excitement at the prospect of being captured by the lens of a camera as it moves along the Brightland promenade – just as the real children were in Panoramic View of Morecambe Seafront, which has now been restored and digitised by the British Film Institute. Rather than a drama, it shows the real life scene of people who are on their holidays, or going about their daily work. It demonstrates quite perfectly how vital and alive they were; how any one of those people might reach out through the screen to take our hands, stepping through the black-and-white straight into the world of colour now. But, perhaps it’s best we leave them to the happiness of that one day; a day that comes alive again each time this little film is played. Better that than thinking of a future that is yet to come, when the boys who are waving handkerchiefs or tossing caps into the air will have been transformed into young men who find their light is swallowed up in the trenches of the First World War. 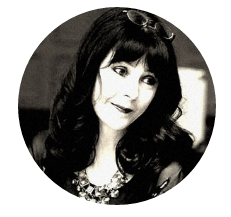 Many thanks to Essie for contributing such an evocative guest post – it plunged me straight back into the world of the novel. This really is a book for all seasons; set during the heatwave of 1976 (which some of us remember), it transported me from the depths of British winter and the often grim realities of modern life to the glamour and mystery of the bygone era journalist Ed is keen to investigate in his pursuit of former silent film star Leda. In the above piece, Essie Fox speaks of the immortalising power of film, as so poignantly demonstrated by the clip of Morecambe in 1901 – those people are still twirling their parasols and tearing along the promenade over a century later. And in fact, The Last Days of Leda Grey mirrors this by resurrecting the world of silent film to which so much of the technology we use can be traced. There is something inherently poetic about this subject which finds perfect expression in the sensual, luxuriant prose and yet the result is not precious or overly romanticised. The intricate and compelling narrative weaves back and forth through time and between nostalgia and regret, desire and disillusionment. Like many readers I have a penchant for stories involving creepy old houses but also (more unusually, perhaps) for writing which reveals the beauty in sadness, ageing and decay, and I was very affected by their sensitive and insightful treatment here. This is a book in which the fictional lens lingers on things we are rarely given to see; Leda will live forever. Next week I am looking forward to a visit from Claire Fuller, winner of the 2015 Desmond Elliot Prize, with a Writers on Location post on the Dorset Coast, setting of her excellent second novel Swimming Lessons, which is released tomorrow (26 January). Très bel article Isabel ! Gosh what a lovely post, touching and poignant. I’m very much looking forward to reading this book. Caroline, I think you’d love Leda Grey – and also Swimming Lessons by Claire Fuller (see yesterday’s new post)!